FINAL TEXT: Deal Special damage to target enemy with a 75% chance to inflict Ability Block for 1 turn. If the enemy has Target Lock, the Ability Block can't be Resisted. FINAL TEXT: Dispel all debuffs from target ally. 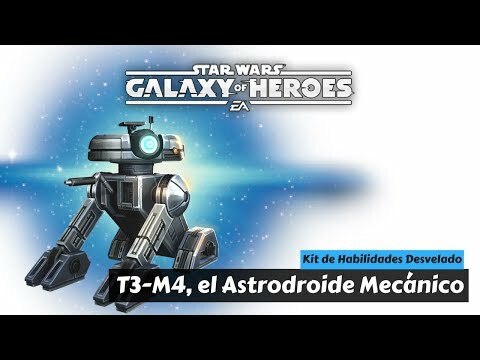 If that ally was a Droid, they also recover 50% health, 50% Protection and gain Critical Hit Immunity and Offense Up for 2 turns. FINAL TEXT: Deal Special damage to all enemies and Dispel defensive buffs from any enemies who have them. Then, remove 20% Turn Meter and inflict Critical Chance Down and Offense Down for 2 turns. Target Locked enemies can't Resist these debuffs. FINAL TEXT: (ZETA) Droid allies gain 8% Potency and Critical Hit Chance (stacking) each time T3-M4 uses an ability. Also, Droid allies have +8% Critical Damage for each debuff on the enemy team. 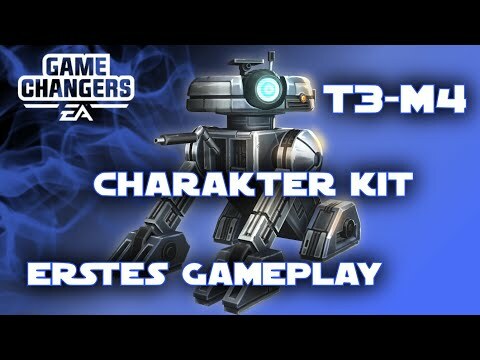 FINAL TEXT: (ZETA) T3-M4 gains 100% Defense Penetration, then Droid allies gain 100% of T3-M4's Defense Penetration. Additionally, each time T3-M4 starts his turn he has a 75% chance to inflict Target Lock for 2 turns on a random enemy who does not already have it. This Target Lock can't be Evaded. Does Combat Logic apply to basic ability or special abilities? If it doesn't specify special abilities then it applies to basic. IPD is not recommended in the synergy team? Or IG-88? I find that suspicious. So he’s not meant to be used in an old Republic squad but a droid one... grievous rework coming? "Later" is the new "soon." Can’t believe you are pulling this crap on us. Shame on you CGEA! You never learn do you? When can android users play with these characters? Seems like pretty boss with 88 and IPD. Droids can almost field 2 good squads now. Who is this guy? Never heard of him. Android only? That's pretty stupid. I guess the android players will feel so special they'll pay double? Who is this guy? Never heard of him. Android only? That's pretty ****. I guess the android players will feel so special they'll pay double? Nice. He would do well under HK47 leader while boosting his crit chance too. You would think that logically right? There have been plenty of times however, when it isnt logical. how does he have no **** KOTOR synergy? do any actual Star Wars fans work at CG? Will he be good with JTR ? Looks cool. I have a g12 Droid squad, but now I have to think about the swaps. HK is a must have because he's the leader. BB8 is a must have because he's the key for quick opens and stat gains. R2 is also a must have because the hp boost and stealth. So I must swap 86 to T3, but I have to sacrifice a great amount of damage output. I also don't like the two zeta abilities. This character is useful for Droid lovers like me, but his abilities are more like omega levels instead of zeta. another toon that im not excited about, will sit at 3* lvl 1 for the next 6 months at least. also, missed opportunity for whales to actually spend money on it. the 100% defense penetration would be cool for HSTR, with the 50% heal+50% prot and offense up on IG-88, but the rest of it is just total miss. this toon will obviously be useless for high-arena, will probably be useless for raids, and no one need it for TW or TB. why we getting it ? just so no brainers will spend money on it ? thats pretty sad. It’s a kotor toon- peeps love kotor. Many have even said time and time again - release kotor toons and take my money- lol I’m more interested in the future of these toons and their requirement to unlock other toons. If I was running a droid team I think I would replace R2. If run HK lead, 88, L3, BB-8, T3. 88 would be doing massive damage with all those debuffs. 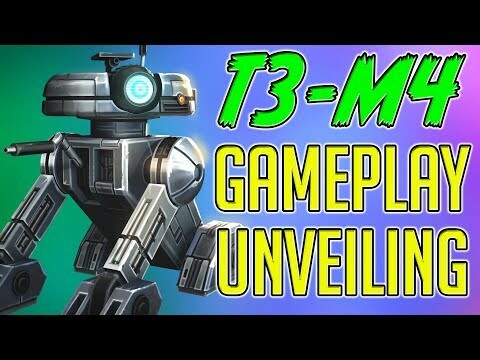 T3 + BB-8 taunting nonstop and with those offensive debuffs and T3s “revive” they would have good survivability. It’s not displacing Traya from the meta, but you could do some serious damage with that squad. Seems like a ton of fun, too. take my money on a droid from kotor that seems to be useless in all current game modes ? i dont see anywhere hes fit in. resistance - have better options. droids are bad idea, he cant fit in BH team..
you wont take R2 and BB8 out from resistance, you wont take IG88 out of BH team, you cant do anything with it basically. why would anyone spend money on it ? that is exactly my point. CG, once again, are releasing useless toons and channeling their work towards something that will barely bring us any fun, but will bring them money because whales will be like: "HES NEEDED FOR REVAN". i personally sick of this method of releasing toons to be p2p for 4 months, and sick that those toons arent something i'll waste my crystals on. even on paper this guy sounds bad and not close to fit in the current meta. Its interesting how many people forget that this is a business. Yes, marquees are a great way to make money so that they can keep this game going. Im FTP, ill farm all these toons and hope (not expect but hope) that they release revan and that i can get him first time and if not first then get him 2nd time. Yeah exactly, this is really just old players that have 3-4M gp who care about this. I probably forgot a couple lol, point is, you're never running out of things to farm and the only marquees that have been released this year that are probably worth having 7* are Sion, Nest and Bastilla.